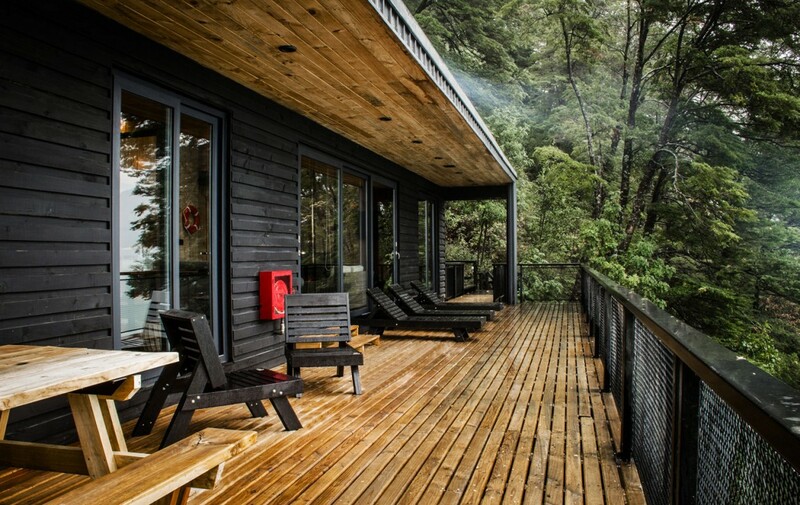 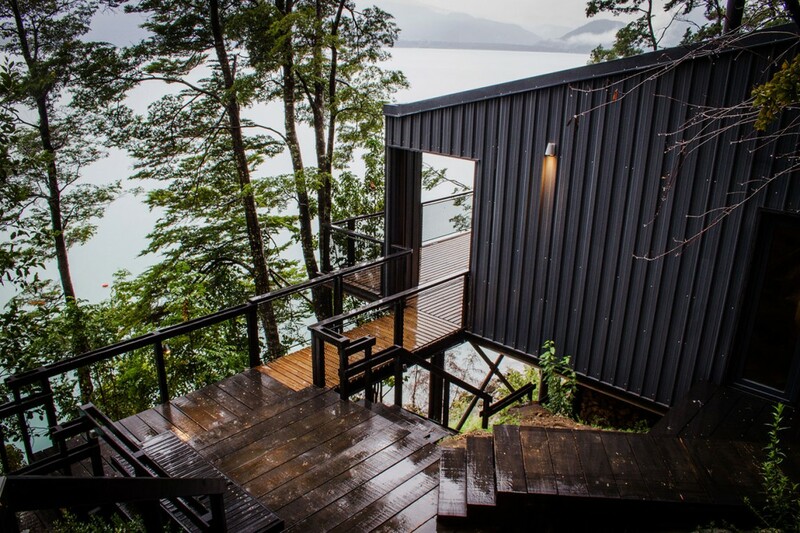 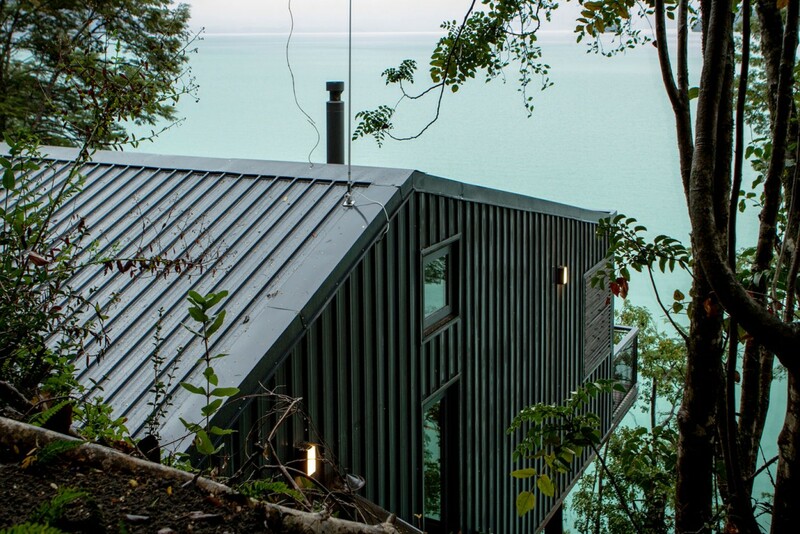 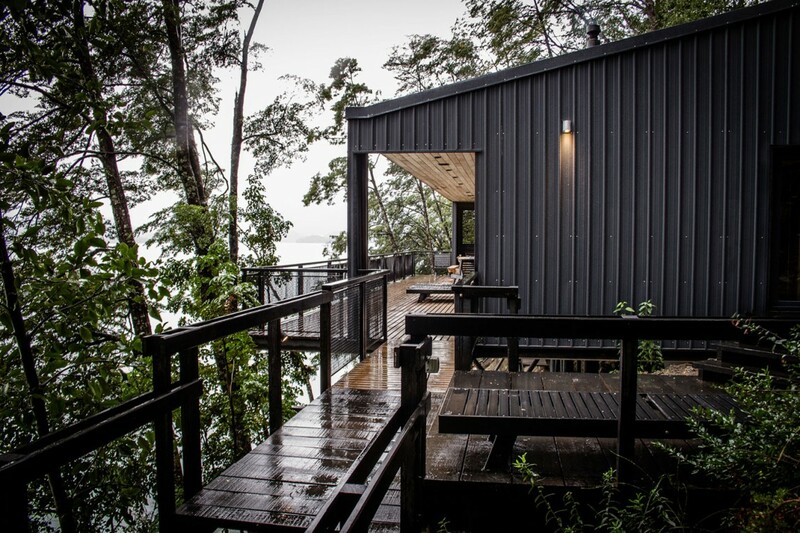 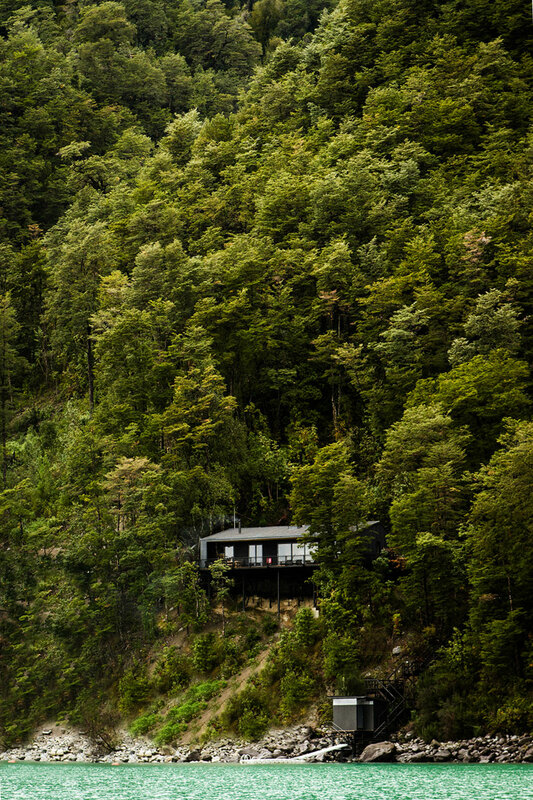 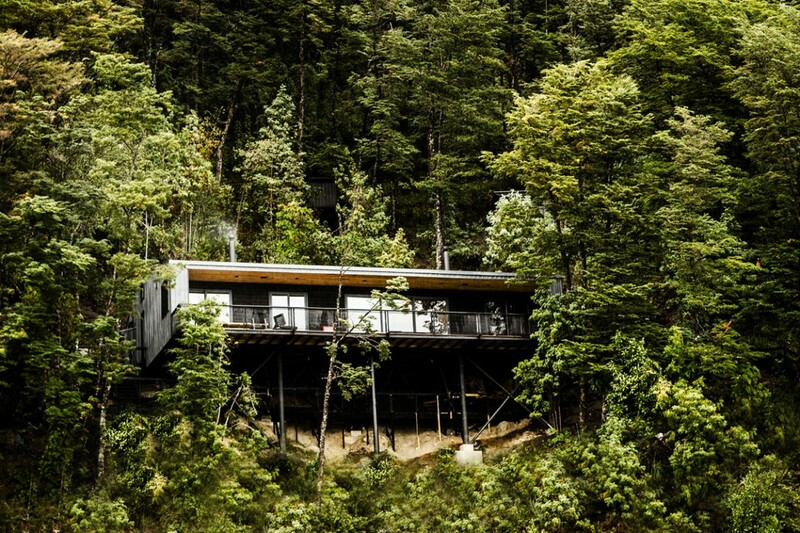 This single-family weekend residence is located in the south shore of Todos los Santos Lake in southern Chile, surrounded by native forests and several volcanoes, where the only access is by boat. 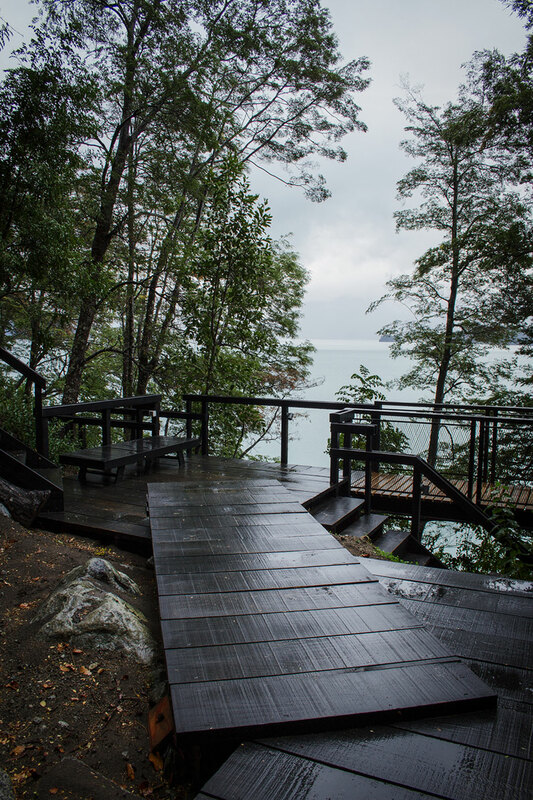 The terrain is quite unique and extreme: it is located on a high slope edge with a rocky shore and has over 1.5 meters (4.92 feet) of topsoil on its surface, which required us to have a strategy regarding the choice of materials and construction system, to facilitate water transport and installation by hand without the use of heavy machinery. 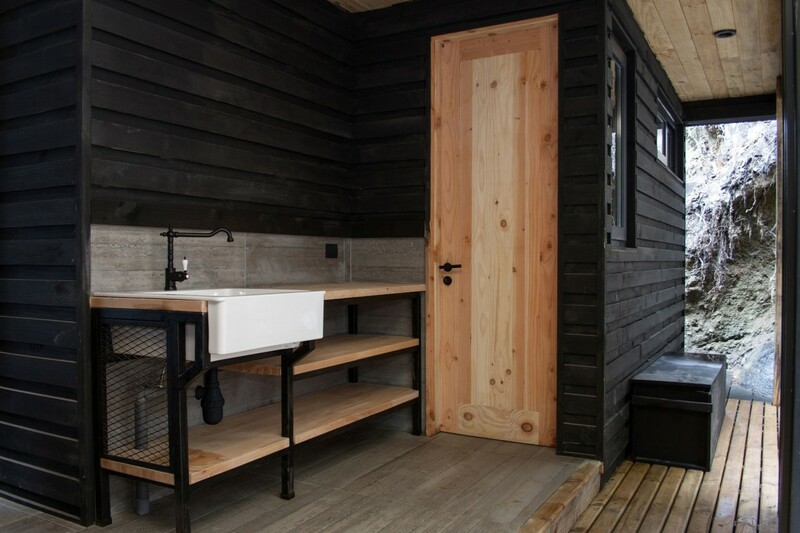 To optimize resources, all the furniture was manufactured from surplus building materials (metal frame profiles and wood). 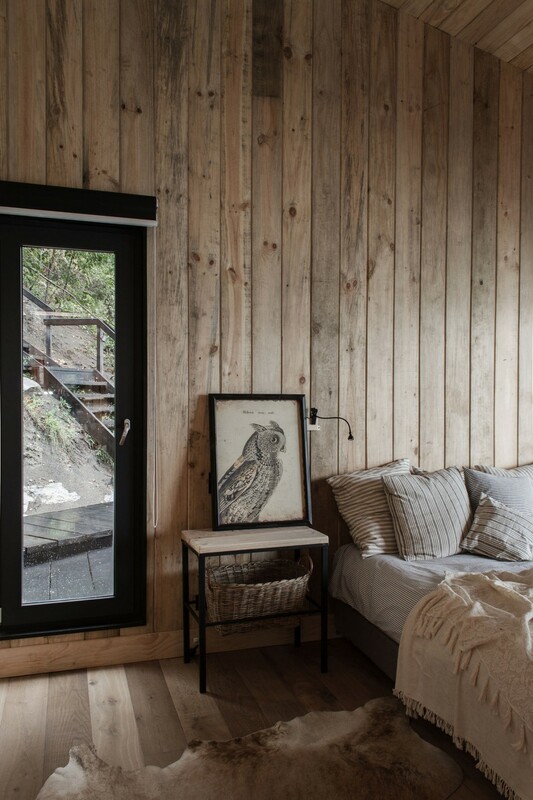 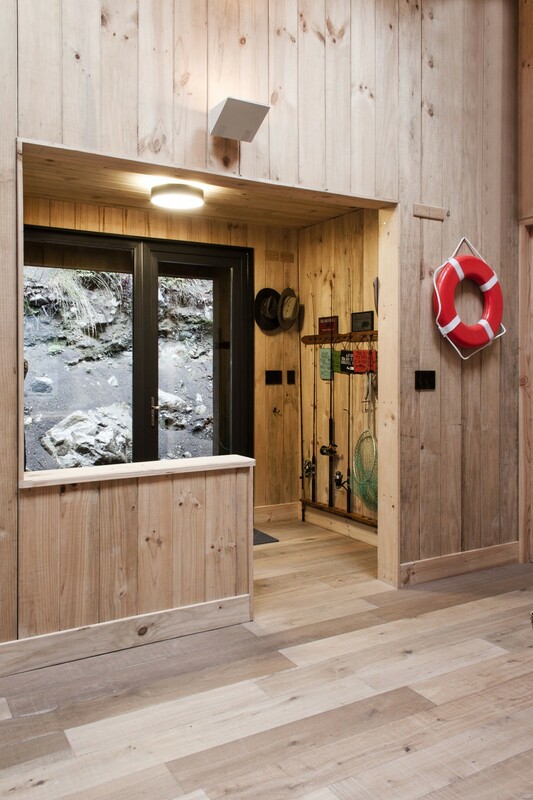 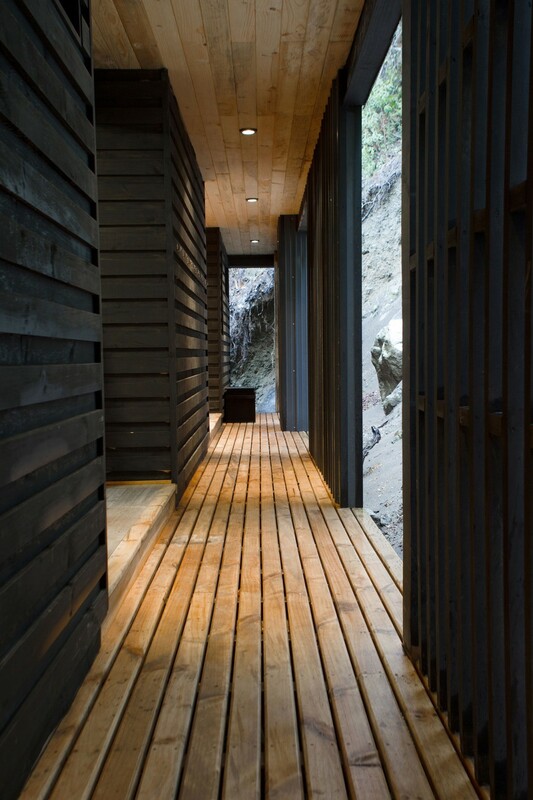 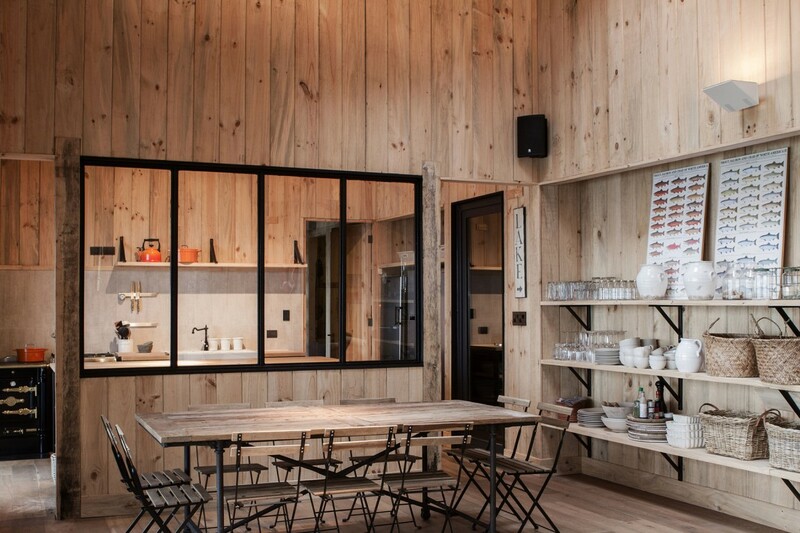 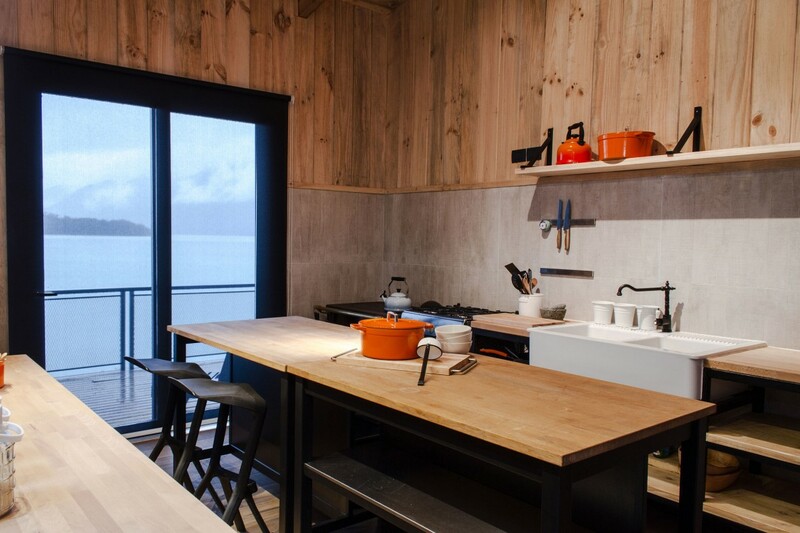 All interior walls are clad in natural wood, which gives a very warm atmosphere typical from southern Chile. 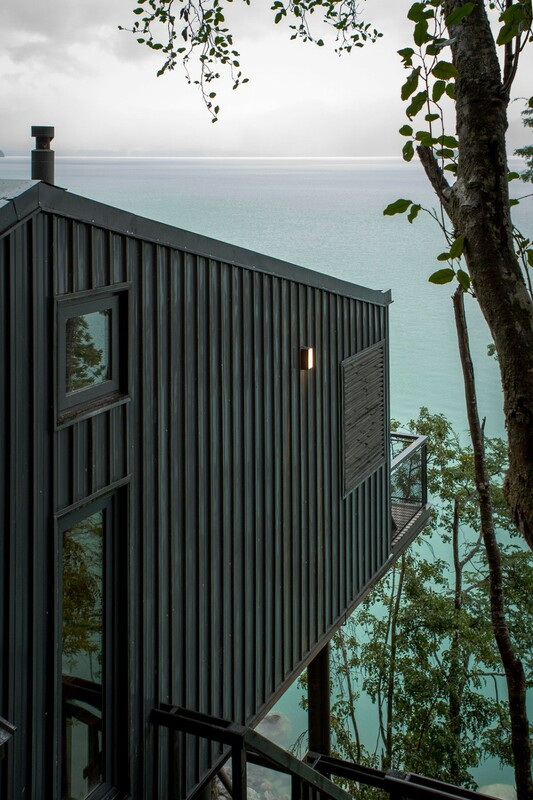 In terms of cladding, it should be the same on roofs and walls, a water resistant material, a reinterpretation of the old shingles. 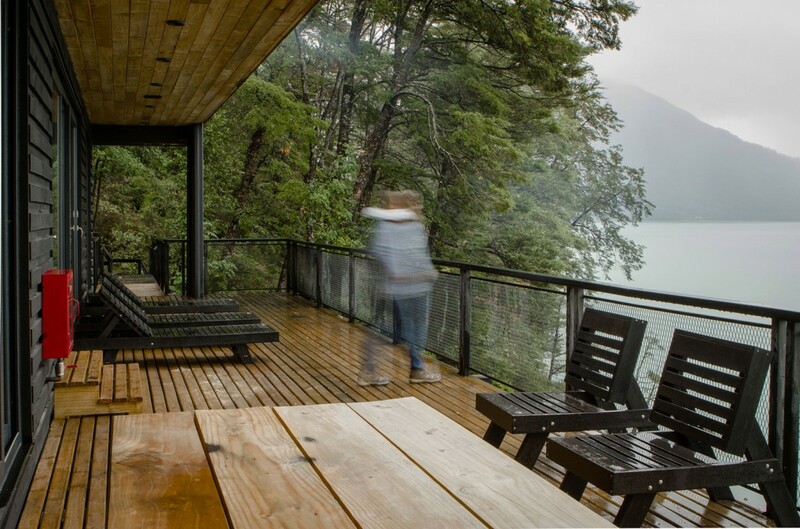 It had to be sufficiently neutral to create a harmonious dialogue with the landscape.